AARP® Credit Card from Chase: Should You Apply? 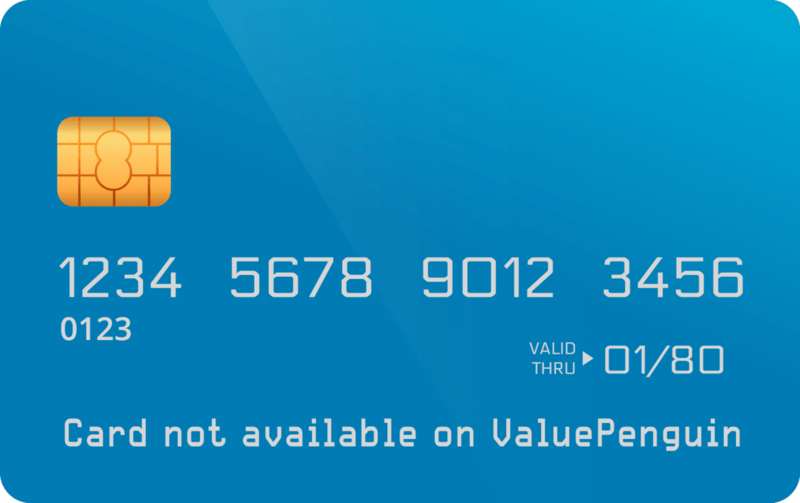 The information related to the AARP® Credit Card has been collected by ValuePenguin and has not been reviewed or provided by the issuer of this card prior to publication. The AARP® Credit Card is an excellent card to use when out in a restaurant or when paying at the pump. It gives 3% cash back in these categories, which is well above average – especially among credit cards with no annual fee. Consider other offers if you'd prefer a card with a great welcome bonus, or one that can be more rewarding across a greater variety of categories. The AARP® Credit Card is a great option for individuals with a ton of dining and gas expenditures. It was named one of our top credit cards for dining, due to its 3% cash back rate for restaurant spending. A handful of cards, such as the Chase Sapphire Preferred® Card, can give better results. However, those cards often require optimization and planning on the cardholder's part. The AARP® Credit Card excels in the two aforementioned categories, and is subpar when it comes to all other purchases. When you use it at all other establishments you will get a measly 1% back. What makes the AARP® Credit Card impressive is the fact that comes with no annual fee. Most other dining/gas credit cards with similar rewards rates cost consumers between $50 and $100 per year. Anyone looking to maximize their short-term rewards may want to look at other options. The AARP® Credit Card comes with an average sign-up reward – users get $100 after spending $500 on purchases within the first 3 months of account opening. This is a pretty boilerplate offer. The Chase Freedom® can get you 50% more bonus value for the same requirements. The AARP® Credit Card has an average interest rate of 16.49% (variable). Senior citizens with decent credit scores who need to carry a balance form time to time may benefit more from another option. People 50 + years old tend to have good credit scores, which means they can qualify for low interest rates. The AARP® Credit Card doesn’t give room for that, since all cardholders pay the same purchase APR. Bottom Line: The AARP® Credit Card offers a good way for consumers to save money on some of the biggest consumer expenses – dining out and gas. People for whom other purchases represent a larger chunk of their budget may do better with other cards. The AARP® Credit Card is a cash back credit card focused on earning rewards at restaurants and gas stations. Users can get 3% back when shopping in these two categories. All other purchases net you 1% cash back. All rewards are earned as points that you can then trade in as statement credit or an electronic deposit into a U.S. checking or savings account. For example, spending $100 at a restaurant would earn you 300 points. Redemptions start at a minimum 2,000 points (worth $20). New cardmembers are also eligible to receive an early spend bonus of 10,000 points. To qualify, you must make purchases totaling $500 or more during the first 3 months from account opening. Note that only purchases will qualify you for the bonus. Other types of transactions, such as cash advances and balance transfers, will not. Additionally, you do not have to carry a balance for the bonus to kick-in. For example, you can still get the bonus if you make $500 in purchases during your first month and immediately pay them off. Recently, the AARP® Credit Card offered a $200 spend bonus though the offer has expired. At the time, the $200 welcome bonus was one of the best cash back signing promos available through a no annual fee card. We don't recommend users wait around for the bonus to come back. At this time, it's not clear whether the card will ever offer $200 again. The AARP® Credit Card has a charitable component to it. In 2016, Chase will donate $0.10 for each purchase made at a restaurant with the card to the AARP Foundation, in support of Drive To End Hunger. The initiative tries to combat hunger among individuals who are 50+ years old. They sponsor local community programs that help educate the elderly about supplemental meal assistance programs. For this current year, Chase has pledged to give up to $1.1 million towards the charity. How Does The AARP® Credit Card Compare To Other Credit Cards? We looked at how the AARP® Credit Card preformed when compared to other leading credit cards. You should read through this section to get a better sense of where the AARP® Credit Card shines and where it falls short. The Citi® Double Cash Card is a great option for users looking for good rewards on all-around spending. With the card, you get 1% back on all purchases, and then another 1% when those purchases are paid off. For the AARP® Credit Card to beat that offer, dining out and gas need to make up more than 50% of your total credit card spending. Otherwise, the rewards you earn will average out to something lower than what the Citi® Double Cash Card can provide. One downside of the Citi® Double Cash Card is the lack of a signing bonus. If you’re the type of person to get a credit card just once in a while, this shouldn’t matter. In the end, the card with the better long-term returns should be the one you choose. The Chase Sapphire Preferred® Card is another great card to use for those who dine out frequently. The card gives 2X points on travel and dining at restaurants & 1 point per dollar spent on all other purchases. The points aren’t generic either. They are Ultimate Rewards points, which are one of the top credit card rewards programs. You can use them to pay down card purchases, book future travel or trade them to one of the participating airline and hotel programs. We value a single Ultimate Rewards point to be worth $0.0125. You can get more than that by transferring your points to the right partner at the right time. Therefore, the card can be much more lucrative on dining purchases than the AARP® Credit Card, if you make optimal transfers. The only downside is that it will take a greater effort on your part to accomplish this. For all the extra benefits, Chase Sapphire Preferred® Card cardholders will have to put up with an annual fee -- $95. If you spend enough on travel and dining, this fee is easily worth it. Additionally, the early spend bonus will have you covered for years. You can earn 60,000 bonus points when you spend $4,000 on purchases in the first 3 months from account opening. That translates to roughly $750 in travel when you redeem through Chase Ultimate Rewards®. The Chase Freedom® is one of our favorite cash back credit cards. With it, you can earn 5% cash back on up to $1,500 in combined purchases in bonus categories each quarter you activate. Sometimes, these bonus categories include restaurants and gas stations. This card can be a better match if you drive and dine out seasonally. Moreover, the Chase Freedom® gives you the chance to earn an excellent rewards rate on different categories, where the AARP® Credit Card would award just 1%. The two cards also differ when it comes to the early spend bonus. With the Chase Freedom® you can earn a $150 bonus after you spend $500 on purchases in your first 3 months from account opening. That is $50 more than the AARP® Credit Card bonus, for the same requirements. You should always consider how you spend your money to get the most valuable card. We build a comparison tool that can work through the calculations for you. Simply enter your estimated monthly budget, and we will estimate the value of each card listed.